Mark's Ark, where the animals come to YOU! 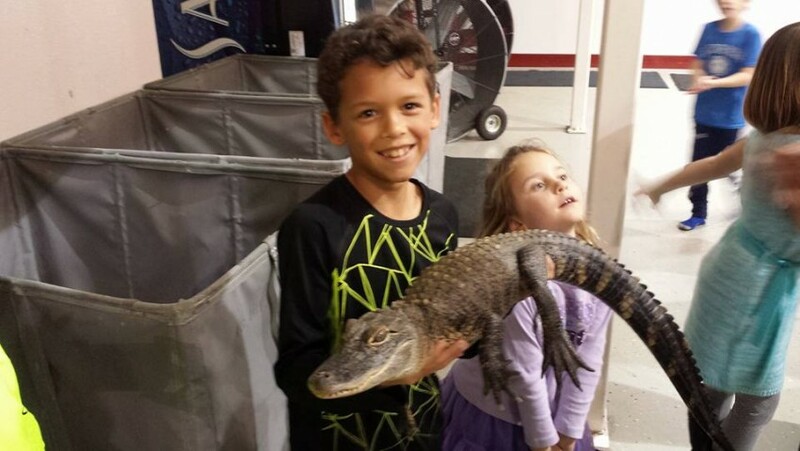 Very fun, interactive exotic animal shows for any family oriented event. 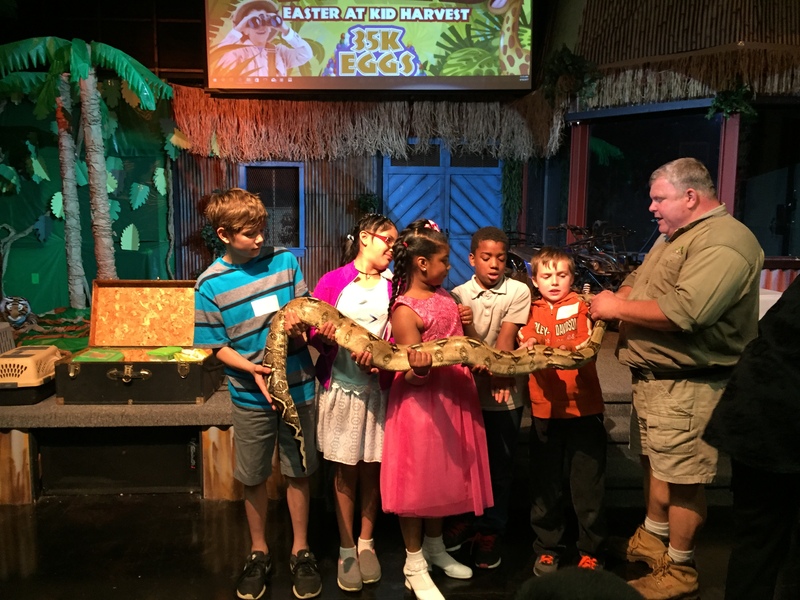 With more than 20 years of professional experience with exotic animals, Mark Kohlhorst, of Mark's Ark, presents the most interactive experience with animals you will ever have. 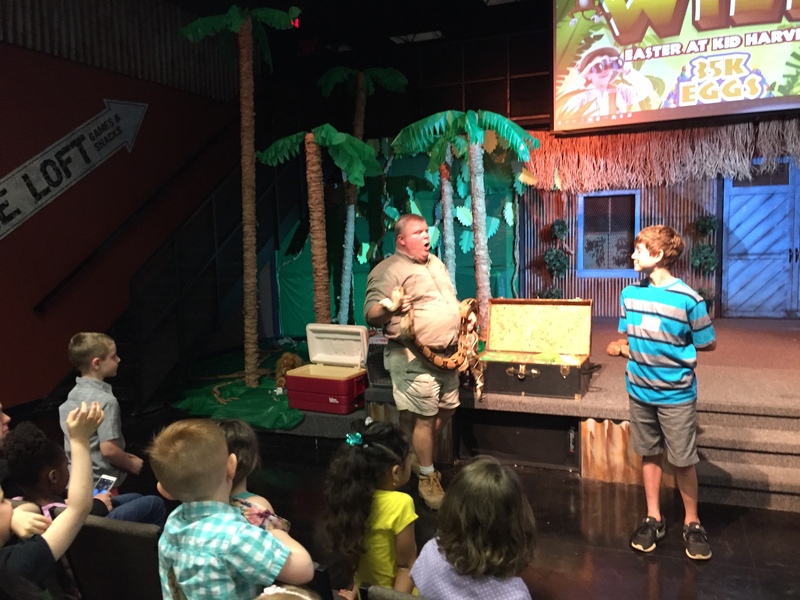 Mark's Ark is available all year round for birthday parties, schools, library programming, fairs and festivals, VBS programs, daycares, nursuries, retirement and nursing homes, scout groups, corporate events, wedding receptions, and company picnics just to name a few. You will feel secure in the fact that Mark's Ark is USDA licensed and is insured. Mark's Ark...The animals can't wait to see YOU! I would highly recommend Mark's Ark. 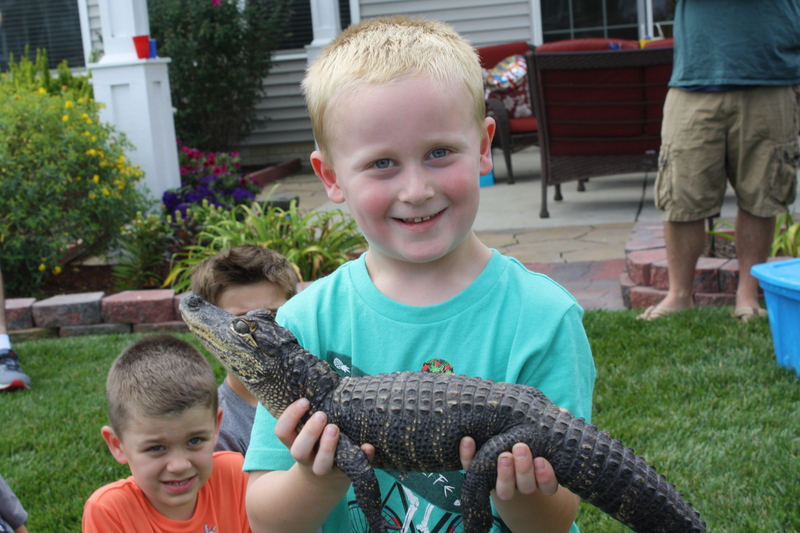 My son chose 8 awesome animals who all turned out to be tame and well behaved. Mark provided direction and shared his knowledge with the children in a way they could understand, without talking down to them. 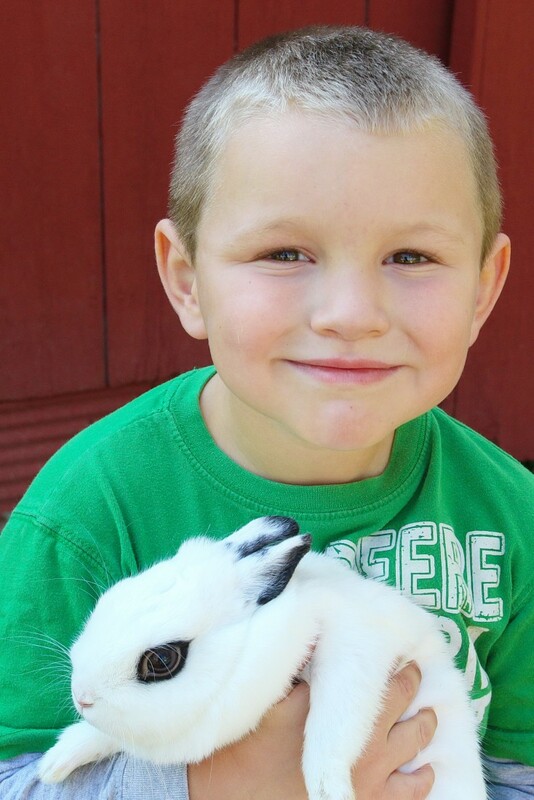 My son got to be the 'helper', which allowed him tons of hands on experience with all of the animals. 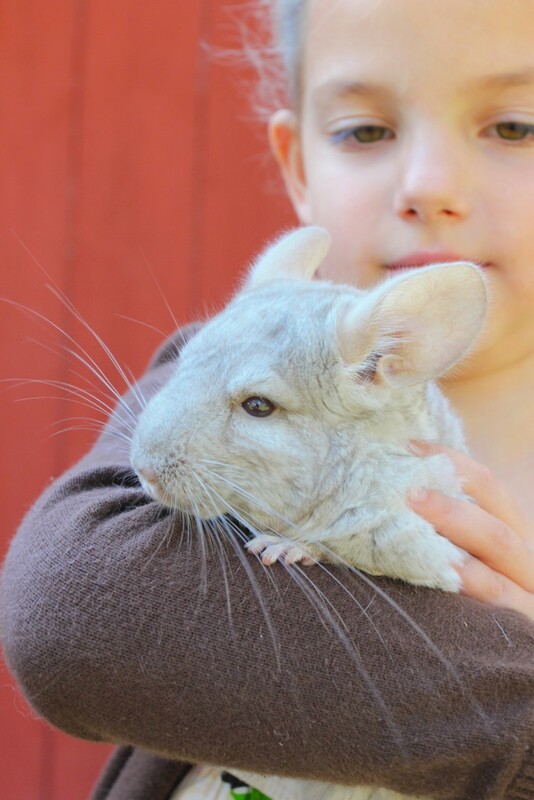 Every child, if interested, was able to hold and/or pet the animals and we didn't feel rushed at all. It was a party we'll never forget and worth every penny! Thank you very much Candice! I really appreciate the kind words. It was a pleasure to be a part of your son's party! 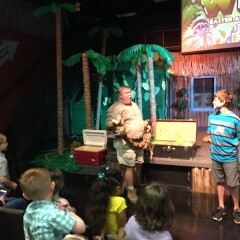 Mark and his animals were wonderful! He was very informative and his love for his animal companions showed through his performance. He took time to explain and answer all questions and made sure each person that wanted to touch or hold the animals got the chance. I can't say how much I was impressed and I would highly recommend Mark for any event. He came in as a person I hired to be there and left a friend. It will be a birthday to be talked about for years to come. I would not hesitate to book him again! 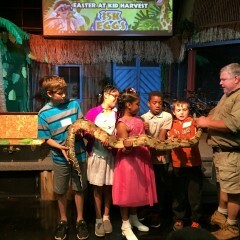 Mark was great with my four year old! 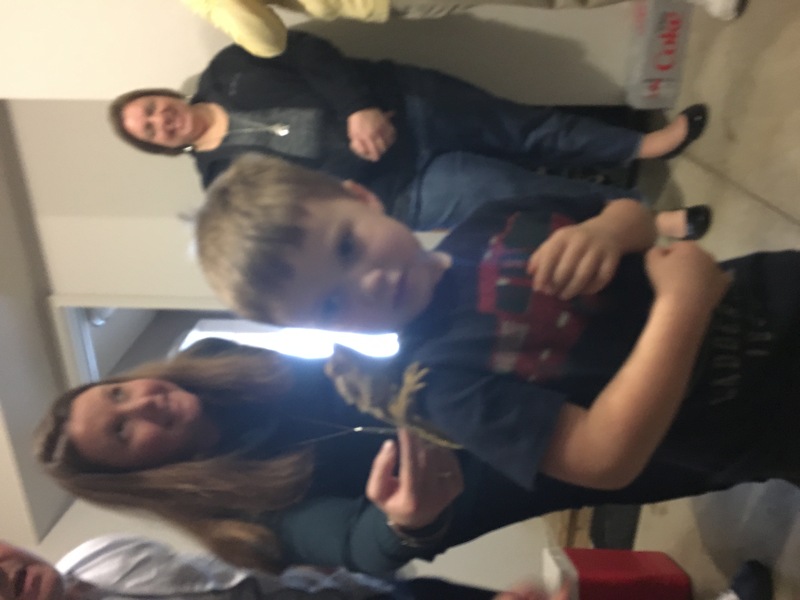 We had him bring his animals to our birthday party and the animals were all intereactive and friendly! Adults and kids both enjoyed the show! Thanks mark!! Thank you very much Kelly! Joey was such a great helper. Kids Loved it and the Adults too! Mark was great. He had a good variety of animals to choose from and was very knowledgeable of them all. He made sure anyone that wanted to hold the animals got a chance to do so. He made sure our daughter the Birthday girl got to pass the animals to everyone to hold (which she loved). Mark was great on accommodating our Suprise Bunny birthday gift into his show as the last animal and then made sure to tell my daughter it was a gift from her mom and I. Our daughter says it was the best birthday ever! Thank you Mark! Mark was professional, courteous, and knowledgable. He showed up right on time, started the show within minutes, and gave us an unforgettable experience. He was funny, interesting, and clearly loves his animals. 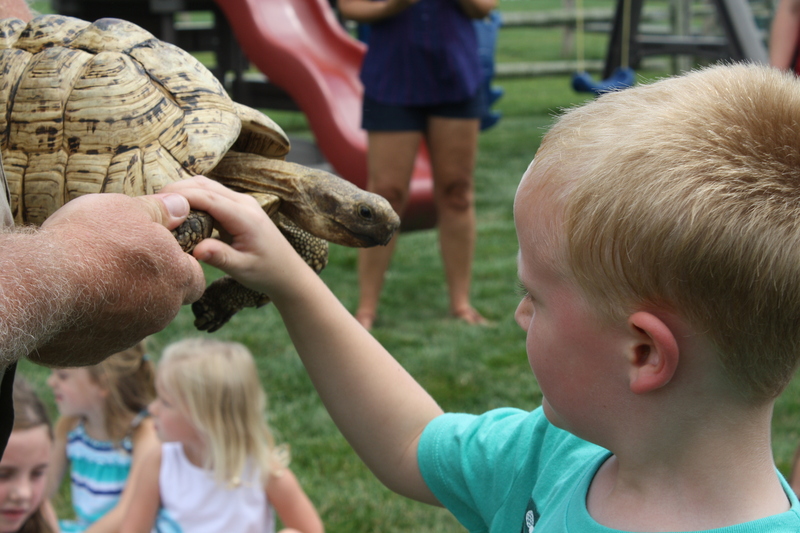 The kids and adults all loved holding and petting the animals. 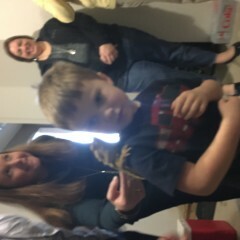 The baby hedgehog, tree frogs and alligator were all favorites. He has been hired back to our local fairs year after year! 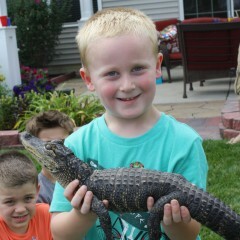 He is great with kids and has a lot of cool animals! 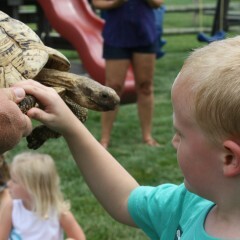 Hands on animals of all kinds. Up close and personal. You are encouraged to pet and hold all manner of animals. I'm Mark Kohlhorst, owner and presenter for Mark's Ark. 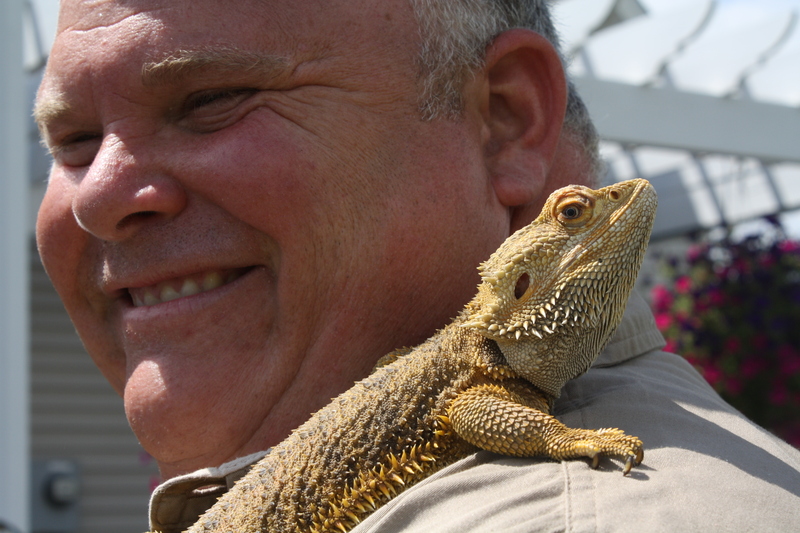 Mark's Ark has been in business for 6 years and I have been working with animals for more than 20 years professionally. 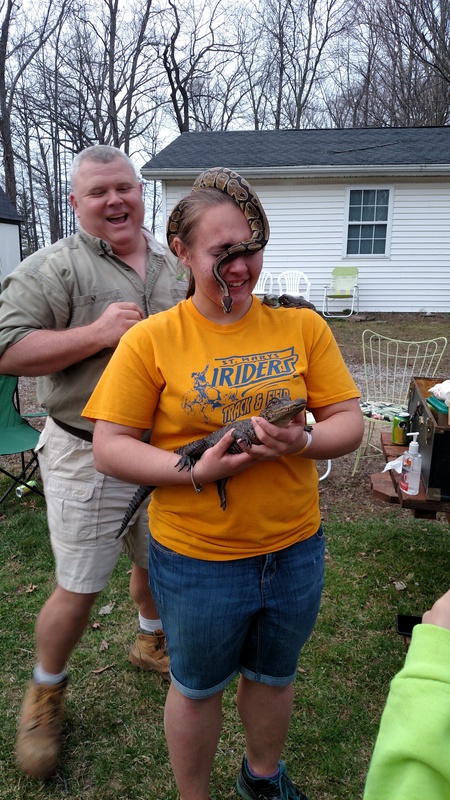 I went to school at The Ohio State University for biology, and worked as a zookeeper at the Ft. Wayne Children's Zoo,(just recently rated one of the top 10 zoos in the nation), for 10 years working with all kinds of animals from around the globe. I am a certified diver, and have been an animal trainer for California Sea Lions, Siamangs, red pandas, and gibbons. I have appeared in many newspaper articles, have been on local NE Indiana TV programs, and have been a guest on several local radio programs. Mark's Ark is a full-time, all year round business that caters to any kind of family event. I posses over 40 kinds of animals. Mammals, birds, reptiles, amphibians, and bugs are all in my collection and for you to select from. All of my animals are pets, and are treated with extreme respect and value. They are always handled properly and are never used as props or exploited for fun at any time in my presentations. That's what I'm there for...Comic relief! When you choose Mark's Ark you will find that all of my animals are all very people friendly and very safe. You may pet and hold everything I have, and for your event, YOU may select the individual animals you would like. No two Mark's Ark events are ever alike. You can personalize yours! My presentations are delivered in a relaxed manner, passing the animals around as I talk about their individual interesting facts. I do this through light humor and wit. I am very good at catering to the very young and keeping their attentions as well as delivering to college age to senior patrons and everybody in-between. For public appearances I do like to select volunteers from the audience to help share the animals to the rest of the audience as well as do some fun stage performing. I offer two general ways of presenting my animals. The formal presentation. A time is set for me to begin and end, and I show up to eight animals to the audience in that time frame. Meat and Greet. I am given a location to set up and patrons come to me at their leisure, in a set time frame, to see the animals I have with me. 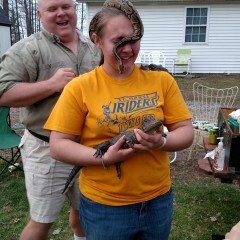 It's more like a true petting zoo, but I am there to facilitate petting and handling of the animals. I am a USDA class C animal exhibitor, and do carry liability insurance. Credentials will be provided upon request. I will gladly provide references as well. I can travel to any location for your event. I can also present inside or outside, weather permitting and according to my guidelines. I do offer other services with my animals for different occasions as well. I have doves for weddings, funerals, and memorial events, kissing pigs, and singing animalgrams too, (I do the singing, you pick the animal). Mark's Ark is fun for the whole family. You will not be disappointed. The Animals Can't Wait to See YOU! Please try and book 2 months in advance, especially weekend dates,(Fri, Sat, Sun). I will try and accomodate your schedule to the best of my ability, but 2 months is best. May, June, July, August, and October are my busiest months of business. For booking a date, I will send you by e-mail or regular mail my Host Checklist. You must fill it out and get it back to me at least 2 weeks before a presentation with your deposit included. A non-refundable deposit of $50.00 is required for any booking. Checks and money orders are the accepted method of payment. A signed Mark's Ark contract is required for presentations of more than 1 hour in duration. I can provide copies of insurance and License upon request or if required. 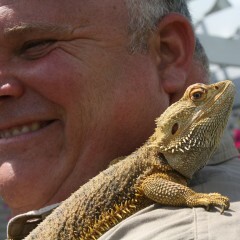 I can do both indoor or outdoor presentations, as long as the weather and temperature are appropriate for the animals. Outdoor presentations are done when teperatures are 65F and sunny or warmer and less than 85F. Otherwise indoor presentations are a must. Public presentations like fairs and festivals must provide adequate shelter, determined by Mark Kohlhorst, and are outlined in the Mark's Ark Festival and Fair contract. Any location for a Mark's Ark presentation that require the use of stairs must provide elevator service or else an animal presentation must be presented on ground level. This applies to basements and upstairs rooms in homes. No exceptions. Mark's Ark brings animals in sometimes large and bulky animal carry cages and will not risk personal injury or stucture damage to the hiring clients' homes. It is the responsibility of the hiring client to practice their own crowd control not the entertainer. Loud noise is one important example to be avoided. At public performaces I choose the order of the animals that I show. At private parties, the birthday child or hiring client may choose the order in which the animals are shown for their event. 8' table, sound system for festivals and fairs.